Have An Appraisal Question ? Call Now ! 8.00 AM to 10.00 PM. We always try to answer our phone by the 3rd ring! 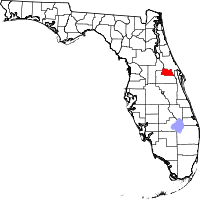 Seminole County Florida was formed on April 25, 1913 from part of Orange County. It is named Seminole after the Seminole Tribe of Indians. Seminole County has truly developed over the last 50 years with major towns and cities now evident such as Lake Mary, Sanford and Altamonte Springs to but a few.